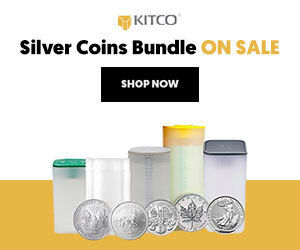 (Kitco News) - The gold market will continue to shine through 2019 as investors have fewer options in the face of lower interest rates, slower economic growth and the rising risk of a global recession, according to one commodity analyst. 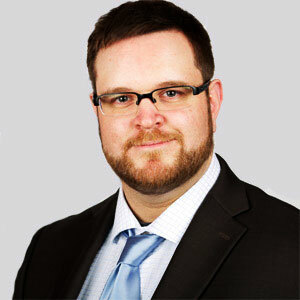 In an interview with Kitco News, Maxwell Gold, director of investment strategy at Aberdeen Standard Investments, said that while he is maintaining his forecast for gold prices to hit $1,350 an ounce by the end of the year, he sees a growing bullish case for gold to push to $1,400 an ounce. His comments come as gold prices trade near a nine-month high. Spot gold last traded at $1,326.20 an ounce, up 0.36% on the day. U.S. markets were closed Monday for President’s Day. Gold added that he sees growing momentum for the yellow metal as it looks like real interest rates have peaked with the Federal Reserve on hold for the foreseeable future. According to data from the U.S. Treasury Department, real rates have dropped more than 30% from their November peak, currently trading around 80 basis points. With low real interest rates, the U.S. dollar has less fuel to push higher through the year, reducing a headwind for the precious metal, gold said. He added that growing government debt also creates long-term weakness for the U.S. dollar. Gold also noted that it’s not just the bond market that looks expensive as yields drop but growing recession fears means that equity markets are probably overvalued at current levels. Not only does the growing debt crisis weigh on the U.S. dollar, but Gold said that it also weighs on growth as more money goes to servicing debt instead of investing in organic growth opportunities. Looking ahead, Gold said that investors should be looking to buy the yellow metal in potential pullbacks with value seen below $1,300 an ounce. 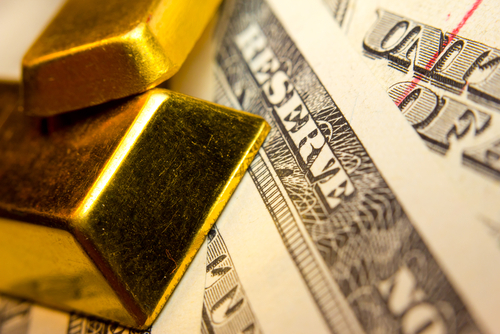 As to what investors can expect to see through the rest of 2019, Gold said that he sees similarities to the rally in 2016 where gold rallied 26% from the start of the year to July. Eventually gold ended the year with a more than 8% gain. Gold said that he expects the yellow metal to gain momentum through the year as it become clear the Federal Reserve will be reluctant to raise interest rates. In 2016 markets were fairly hawkish on interest rate hikes but the U.S. central bank only raised interest rates once at the end of the year. “There was this long period where markets saw that interest rates weren’t rising and that was certainly a benefit for gold,” he said. “Since October we have seen a similar recalibration in interest rates.